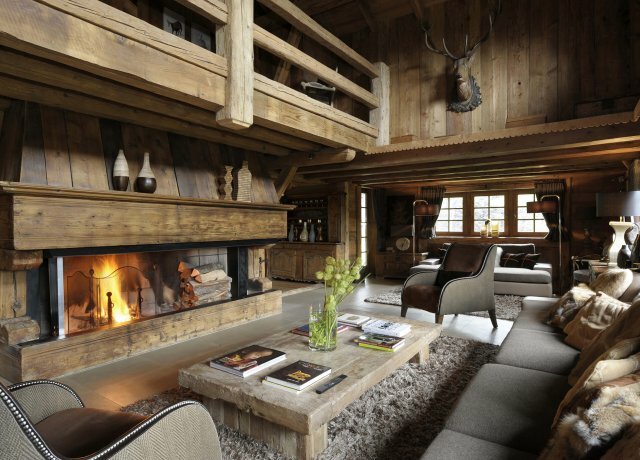 Chalet Ferme de Marie Megeve. 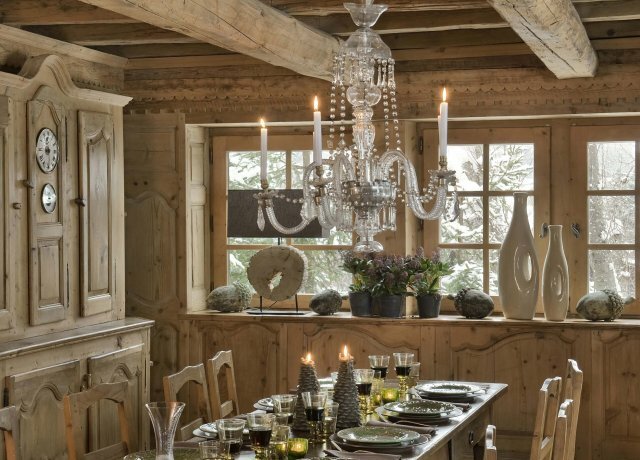 With show-stopping views of the Jaillet Mountains and a setting just minutes from the center of the utterly charming Megeve Chalet Ferme de Marie is a great find. 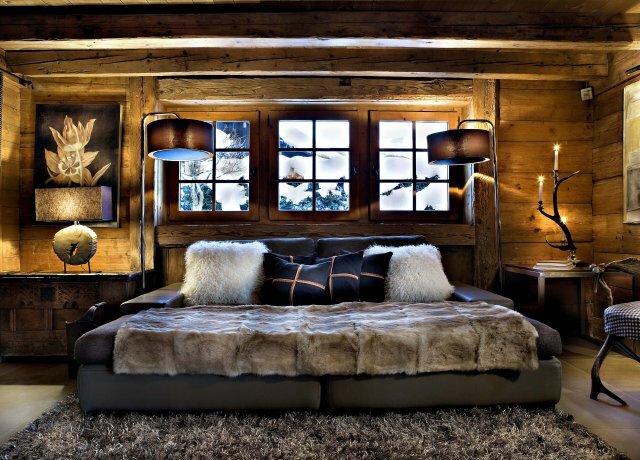 This means you are not far from the lifts and pistes, and yet you are also in an entirely private paradise boasting five luxurious bedrooms and an abundance of lovely indoor and outdoor living spaces. 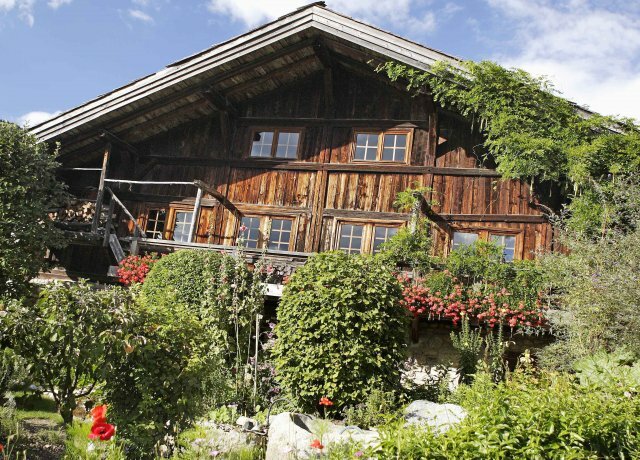 Built in the iconic chalet style, this property has three floors to ensure each bedroom enjoys good views while also savoring plenty of privacy. 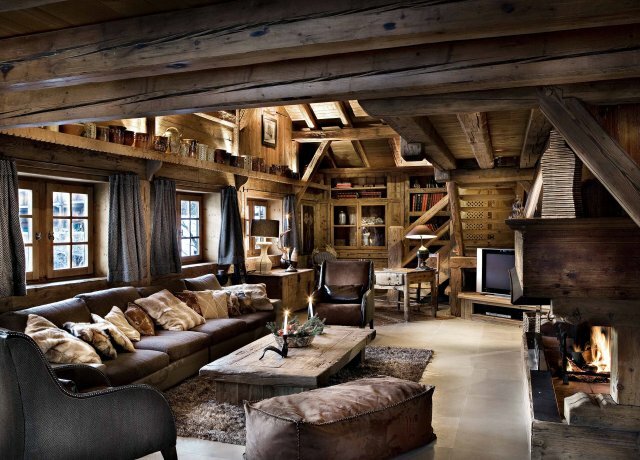 The focal point of the property is the lovely great room, a beautifully furnished living room with enormous fireplace, heavy beams, and cozy furnishings in an earthy blend of plum, chocolate and deep blue. 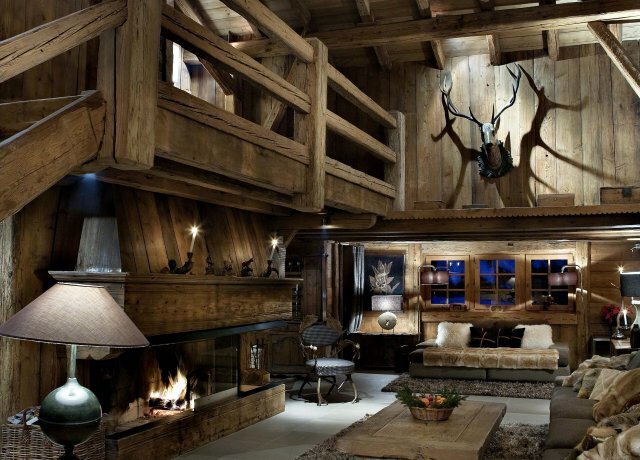 You can gaze at the fire, catch up on TV, tuck into a good book, or spend hours wondering at the scenery from this shared space. There is also the remarkably stylish dining room with French doors to the terrace, where the verandah provides further dining areas. 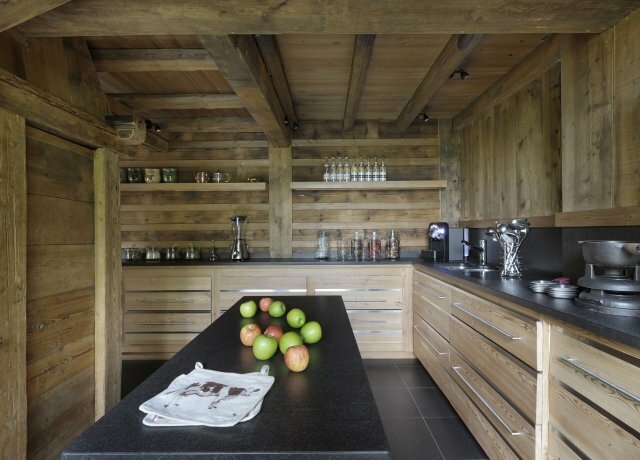 The modern kitchen is a gem and will allow even the fussiest gourmet to easily prepare a meal of any kind. 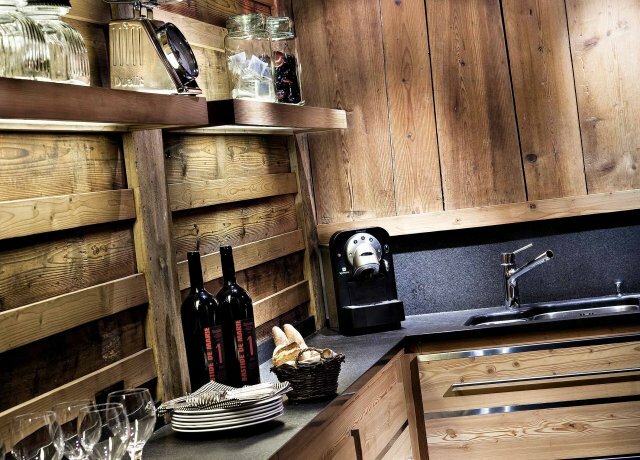 Marble countertops and remarkably modern gear make this a unique element within this classic chalet. 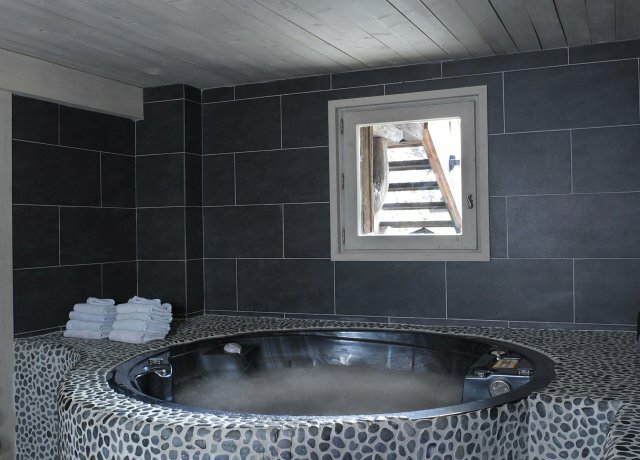 Three of the bedrooms are on the upper floor, along with a small spa that features a fitness machine, Jacuzzi and sauna. 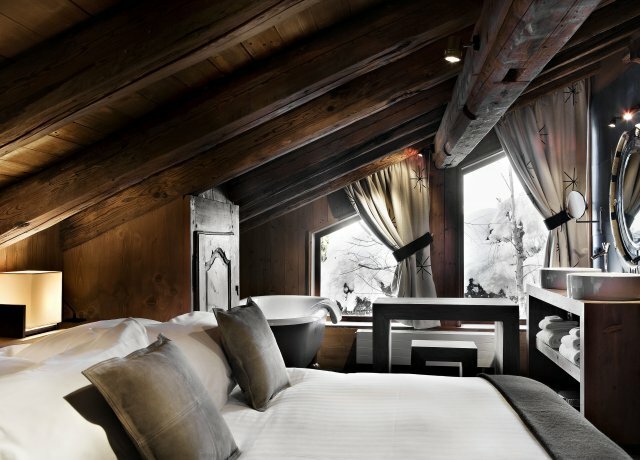 The first floor features the massive master suite with its dressing room, queen bed and amazing views. 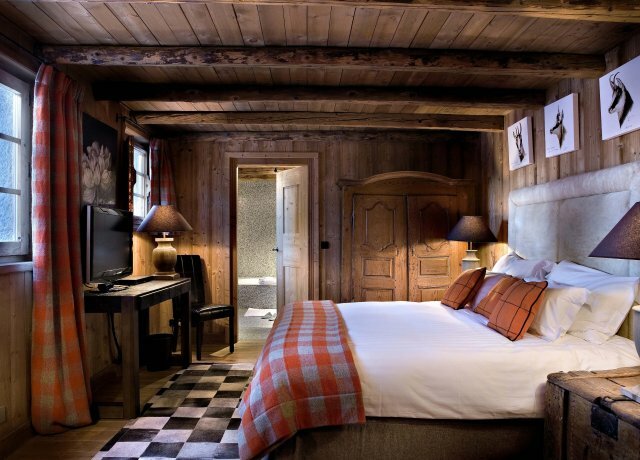 The ground floor is where another large suite is located, and it features a queen bed and wonderful views of its own. 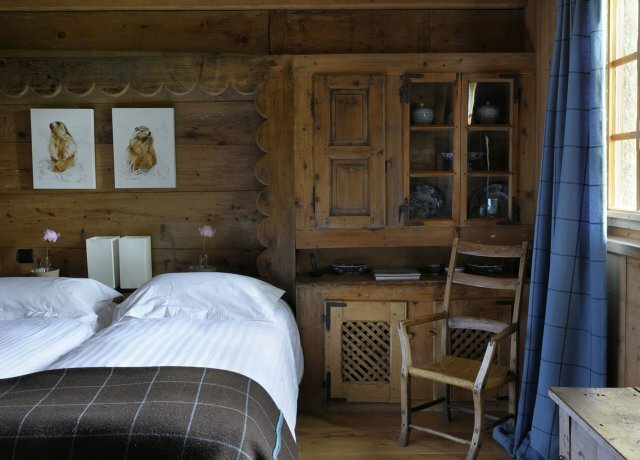 All of the bedrooms are ensuite with premium fixtures, tubs and toiletries. 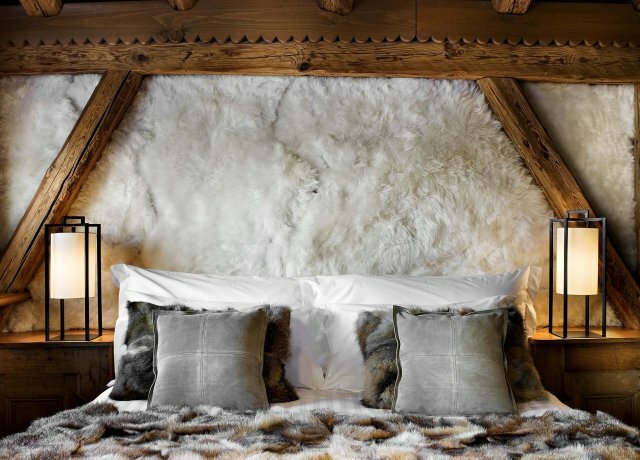 Chalet Ferme de Marie is perfect for groups or families that want to be close to the best skiing, dining and shopping, but who also prefer a lot of privacy and luxury during their stay. 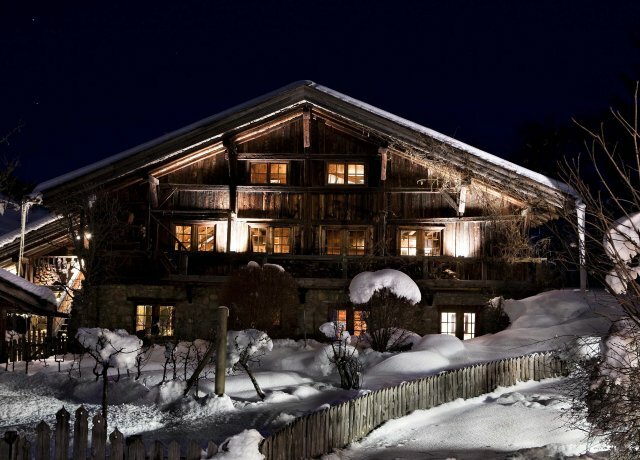 The winter season rental rates (based on up to 10 guests) include breakfast and afternoon tea, a daily housekeeping service, daily newspaper, bed and bathroom linens changed once a week, toiletries, all utilities including WiFi and firewood, access to the Pure Altitude Spa at Les Fermes de Marie Hotel and the services of a dedicated concierge. 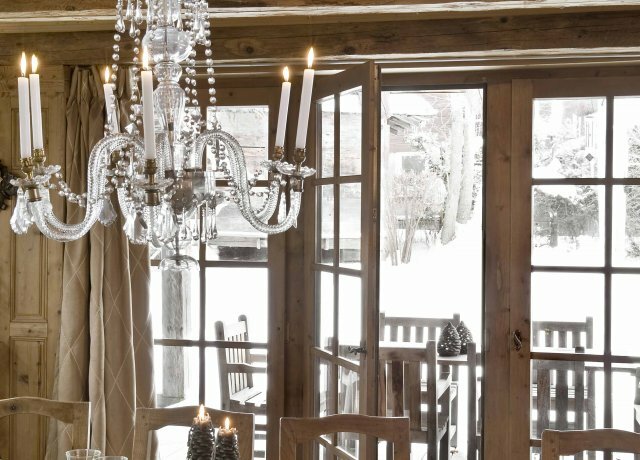 Additional services on request: Lunch and dinners at Les Fermes de Marie's restaurants - Le Lodge Park and Les Enfants Terribles, private chef at your chalet suited your culinary preference, Pure Altitude Spa treatments and massages performed at your chalet or at the Spa Pure Altitude. 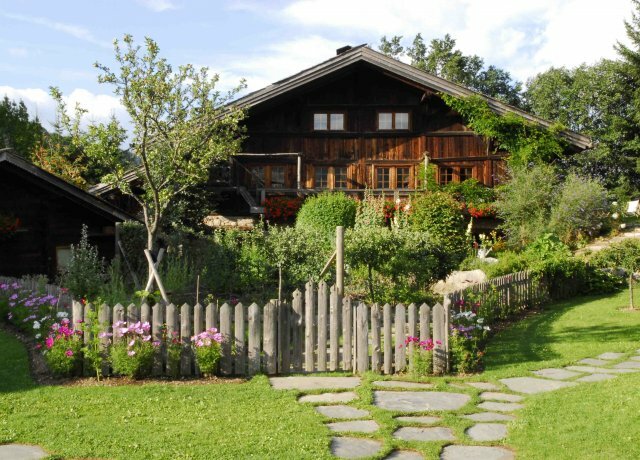 The summer season rental rates (based on up to 10 guests) include breakfast and afternoon tea, a daily housekeeping service, daily newspaper, bed and bathroom linens changed once a week, toiletries, all utilities including WiFi and firewood, access to the Pure Altitude Spa at Les Fermes de Marie Hotel and the services of a dedicated concierge. 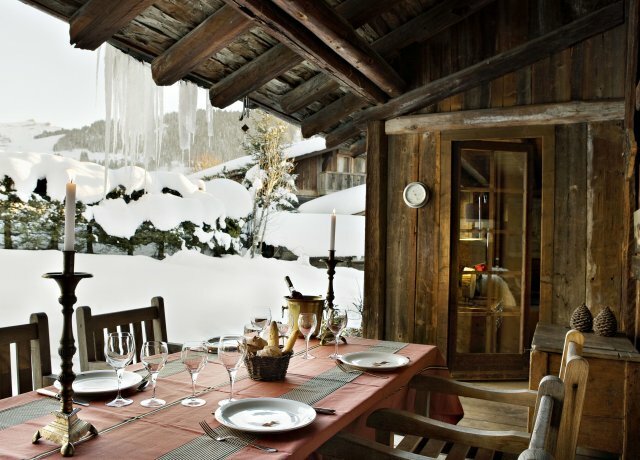 Additional services on request: Lunch and dinners at Les Fermes de Marie's restaurants - L'Alpette Alt 1895 and L'Alpage des Fermes de Marie, private chef at your chalet suited your culinary preference, Pure Altitude Spa treatments and massages performed at your chalet or at the Spa Pure Altitude. Damage Deposit : Credit card authorization. Bedroom 1: Ground floor bedroom with a king-size bed (can be made up as two single beds), TV and en-suite bathroom with bathtub, vanity and separate WC. 2 guests maximum. Bedrooms 2 & 3: Ground floor bedrooms with a king-size bed (can be made up as two single beds), TV and en-suite bathroom with bathtub, double vanity and WC. 2 guests maximum. 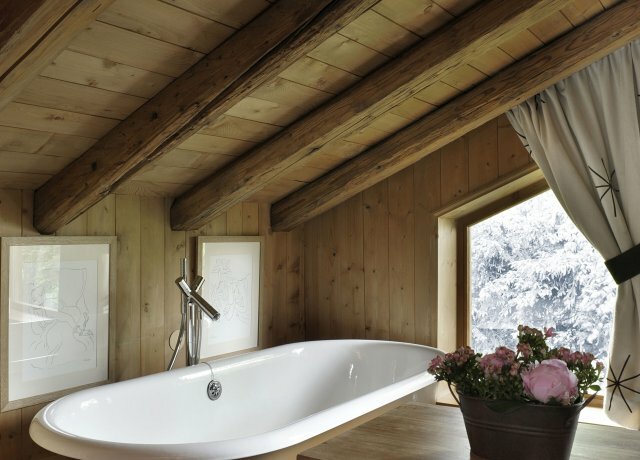 Bedroom 4: First floor bedroom with a queen-size bed, TV and en-suite bathroom with bathtub, double vanity and WC. 2 guests maximum. Bedroom 5: Second floor Master bedroom with a king-size bed, TV, DVD player, dressing room and en-suite bathroom with bathtub, shower, double vanity, WC. 2 guests maximum.